Manoj Kumar Sharma, deputy commissioner of police, zone 1, has confirmed this development. Mumbai: A police head constable has been suspended for accepting bribe from two motorcyclists who violated traffic rules and were caught at a naka bandi. 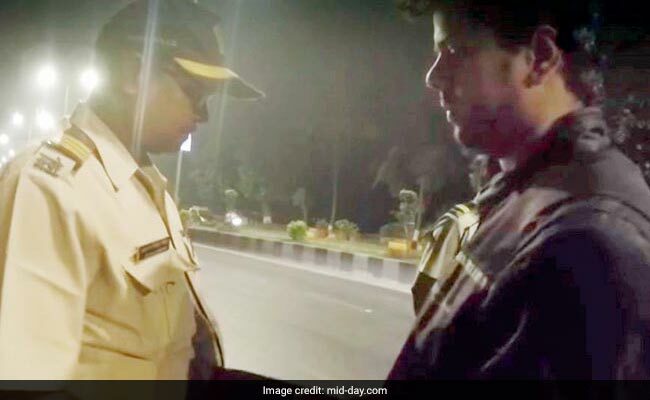 Turns out, the motorists secretly filmed him taking the bribe and later shared the same on social media, which went viral. The head constable, Tukaram Nisule, of the Marine Drive police, was suspended and a departmental enquiry was ordered by senior officers. Manoj Kumar Sharma, deputy commissioner of police, zone 1, has confirmed this development. An officer added that the incident could well be part of a recent trend, wherein people, in order to gain traction on social media, deliberately provoke cops to take bribe, so that they can perform their own sting operation on the police. "The two men who captured constable Nisule taking bribe, had earlier tried to bribe two cops at two different naka bandis. However, their plan failed when those cops refused and penalised them instead. With Nilsule, they coaxed him not to penalise them and settle the matter by accepting a bribe. Nisule gave in, and they captured him on a hidden camera fitted on the helmet," said a senior police officer.